When it comes to prolific character Actors, there times were you see them in film and know you've seen them in other films or TV before, and you're just not sure what. Sometimes you get caught spending the whole film wondering what else you've seen them in. 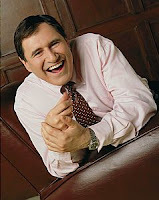 One of those distinguishable faces, with an unforgettable smile is the actor Richard Kind, who's natural cheer and whiny tone is so unique that it's only 100% perfect for some select roles. The other day I mentioned Richard Deakin's 2009 projects including the Coen brother's film A Serious Man. A Serious Man "stars" an unknown Michael Stuhlbarg (playing Larry), a jewish professor in the 1960's who's wife Judith is thinking of leaving him partially because his unsuccessful brother Arthur who's living on his couch. Arthur, the unsuccessful brother is played by Richard Kind. And When people see Richard Kind, I'm sure they'll think "Hey I know that Guy." I think everyone will connect one of Richard Kind's projects to him when they see him in A Serious Man. Kind has done a lot of voice work, and TV roles. When I think of Richard Kind I think of two main projects: The Station Agent and guest appearances on Scrubs. I imagine a lot of people will also think of Spin City, Mad About You, and voice over work in things like A Bugs Life. I'm excited for Richard Kind to have a role in a film that might warrant some attention and name recognition. Maybe even a supporting Oscar nod. Just don't get distracted asking yourself "How do I know that guy?" 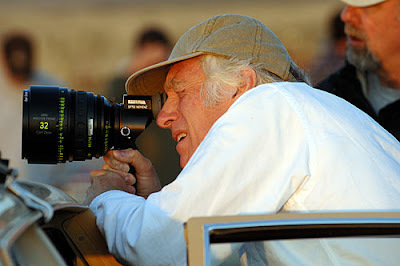 Roger Deakins has been nominated for Eight Oscars for Best Cinematography, and never won the prize. He consistently is associated with some of the best projects film has to offer, and does beautiful work. In July 2007 I did a post suggesting that 2007 might be Roger Deakins year to win an Oscar with three prestige projects including No Country For Old Men, The Assassination of Jesse James, and In The Valley of Elah - the first two listed received nods, but Deakins lost out to Robert Elswit's work from There Will Be Blood. 2008 looked promising for Deakin with three prestige projects again...The Reader, Revolutionary Road, and Doubt. Deakins was nominated for The Reader, but lost out to Anthony Dod Mantle for Slumdog Millionaire. What about 2009? Well of the Coen Brother's 13 movies Deakins has been the director of photography for 9 of their 13 projects. He has also received nominations for four of those 9 films. Of course, Deakins has never won an Oscar, so these films are included, but he has a respectable batting average directing films for the Coen brothers. So that batting average is only going to be better of worse as Roger Deakins directs two Coen Brother films for 2009. One film, Hail Caeser, hasn't even gone into production, so perhaps it's not worth talking about, but the second film A Serious Man. A Serious Man tells the story of a professor who's marriage is falling apart because his brother (Richard Kind) won't move out of the house. I think Deakins has a chance for this nod, but it won't be his winning baby...so 2009 could definitely raise or lower Deakins percentage with Joel & Ethan, but I must say, I don't think Deakins is going to win the award this year. Serious Man would have to be very well respected for that to happen. Roger, maybe soon, maybe soon. The other night I read my one-year old daughter Where the Wild Things Are by Maurice Sendak. This popular and acclaimed story, first published in 1963. Reading this story took --- it's 10 sentences took...umm, maybe two minutes, especially since she did not find it nearly as interesting as her favorite book . I remember when I saw the adaptation of How the Grinch Stole Christmas! staring Jim Carrey, and remember how disappointed I was, and really felt part of the challenge was that it was an appropriately lengthed children's story made into an inappropriately long feature length film (104 minutes). (As I side note, I love the 1966 TV version of How The Grinch Stole Christmas, and think Boris Karloff's narration in this 26 minute version is perfect, and a faithful entertaining adaptation). 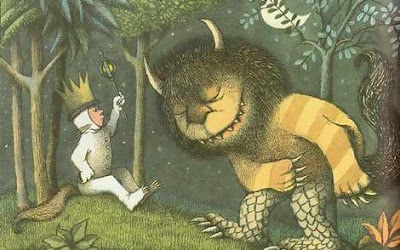 When it comes to the film adaption of Where The Wild Things Are, I am hopeful. Spike Jonze's work particularly in directing Charlie Kaufman penned-scripts (Being John Malkovich, Adaptation) has really impressed me, and I think Jonze's music video roots is perfect for the energy, flair, and stylistic importance telling this 10 sentence story. Of course, this film will surely have more than 10 sentences, and it it's in that interpretation of Maurice Sendak's work that makes me curious. Will they release new versions of the classic book with the updated and more involved story. Maybe, but I doubt it. But the fact is the heart of the story could easily be interpreted, taking away the more subtle pleasure that's in this story. Maybe I'll try those ten sentences on my baby girl again soon, but in the meantime, if she has a hard time sitting still for ten sentences and pictures of the dancing monsters, I think it'll be awhile before she can handle a feature length telling of this story. Asta, as he is credited in Bringing up Baby is an incredible dog-actor. So often if a film has a dog, it plays central role to the film. Now I'm not saying movies like Marley & Me, Beethoven, Beverly Hills Chihuahua, and Lassie. 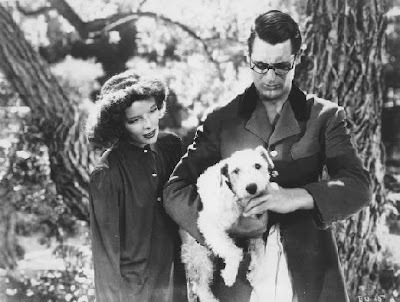 But there's something great about George (Asta/Skippy) in Bringing Up Baby. George is a character, almost an equal on screen with Cary Grant and Katherine Hepburn. But the film is not called Bringing Up George. No, George, clearly a trained dog, is an asset to the story, and important character. Not something to lure the kids, or put in cute pictures on the movie posters...no, he's important, just as the stories written. I like that. Kind of makes me think of Nana from Peter Pan, another dog as character that enriches a story. I'm not the dog movie type, but I love George, he just makes me laugh in this movie. I've heard some buzz about the film An Education for awhile, and was hesitant to include in my list of "June predicting best picture nominees" and settled outside of the top 10 at #15. But now that a trailer for this film has finally come out, I can definitely say two things. (1) I'm very excited for this film. (2) Especially with ten best picture nominees, I certainly think An Education will be honored as one of this years best. Not only do I think this film has an excellent shot at best picture, the preview gives us a taste that some of these great performers could have a chance of there own Oscar nominations as well. Another favorite of mine Alfred Molina is also Oscar nomination-less and he deserves a shot at the gold. In the same way Heath Ledger impressed me as the Joker, Alfred Molina impressed me as Dr. Octavius in Spider-Man 2, not to mention a very diverse and extensive film career. I'm rooting for Mulligan, Sarsgaard and Molina to all get their first Oscar nominations with An Education, and am very excited about this film, and it's prospects as part of the 2009 film season. If you were calling to hear what was playing at Diamond Cinema's in Navan, Ireland...here what you would hear about the movie Brüno...forget ratings, this Irish cinema gives you an extra warning. You won't find me seeing Brüno, as you might recall it's on the StrangeCulture's 2009 Vomit Enducing Film List. With Lance Armstrong racing again in the Tour de France I always take a trip down blog-memory-lane and remember a post I did in 2006 about Jake Gyllenhaal seeming to be interested in playing the part of Lance Armstrong in a biopic. Three years later, the Armstrong story continues to develop and leaving retirement after seven consecutive Tour de France wins, Lance Armstrong joins the Astana racing team out of Kazakhstan. The race has an interesting intrigue with Armstrong's teammate Alberto Contador from Spain who won the tour in 2007. Rumors about the Armstrong biopic continue to circulate, and Gyllenhaal's name continue to make the rounds. Most recently a quick blurb in the Boston Globe mentioned Matt Damon and Ben Stiller. I've also heard less impressive names like Chris Pine and Robert Pattinson as well. I'm still curious at the angle that will be taken in a Lance Armstrong biopic - cancer, divorce, performance enhancing drugs, victory, biking, Olympics, love? Who can tell. And as for Jake, he seems to like Armstrong and want the part, but I have this feeling others want to play this 'Live Strong Role' as well. 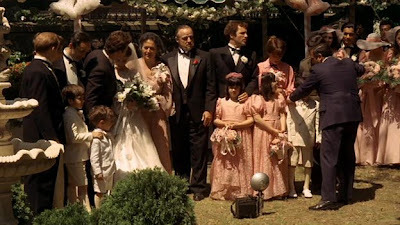 Are there More Outdoor Weddings in Movies Than In Real Life? The other night, my wife and I watched the film He's Just Not That Into You, based on the the non-fiction self-help book with the same title . The film --- well, it was alright, self-help might not be the most adaptable genre. In the film, Jennifer Aniston is a bridesmaid in her younger sister's wedding. The wedding is a beautiful outdoor wedding. I started thinking, I've been to probably a dozen and a half weddings in my life. Of those, only one of them has been an outdoor wedding. So let's say, about 5% of the weddings I've been to are outdoor weddings. Yet, when it comes to film, I would think a much higher percentage of weddings on film are lush outdoor weddings. Whether it's the Godfather, 27 Dresses, Steel Magnolias, Sweet Home Alabama, Monsoon Wedding, You Me and Dupree, and Meet the Parents. Certainly, there are a lot of films with popular non-outside scenes, but I just feel like I haven't been to many outdoor weddings? Is it because when you're making a film you can change the scheduled shooting day if the weathers bad, so you're more relaxed about shooting an outside wedding day? Or maybe it's about geography? I've been to weddings in Texas, Colorado, Alabama, Tennessee, Oklahoma, Kansas and Florida, but I've never been to a wedding in Los Angeles...maybe that's the problem? 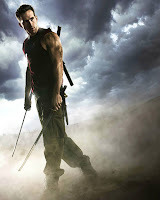 Ryan Reynolds as Green Lantern - What About Deadpool? 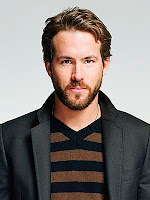 Ryan Reynolds has been around, but lying low on the scene for awhile now, and then all the sudden, it's 2009 and he has significant roles in two of the bigger summer movies -- The Proposal, and Wolverine, and suddenly he's on the radar as an actor to watch, with massive entertainment coverage. And now, according to Mike Flemming's blog on Variety, Ryan Reynolds has been cast in Warner B rothers next big super hero film, Green Lantern. (Apparently the other actors in consideration were Bradley Cooper and Jared Leto). I expect that the Green Lantern film should be entertaining, especially with Martin Campbell as director. Campbell re-captured James Bond fans with his entertaining Bond film Casino Royale in 2006. The only question I have at this point, is how this will play out with Ryan Reynolds also slated to play the comic book character Deadpool/Wade Wilson in the comic book adaptation of Deadpool. Reynolds p layed the Wade Wilson role in X-Men Origins: Wolverine, and was supposed to reprise this role (pictured right), headlining his own film in 2011. Production has not begun yet on either of these films, and with limited details, I have to wonder if the Cinematic Universe has room for two Ryan Reynold's Superheroes? Not to mention both are supposed to hit theaters presumable summer 2011. Somehow that just seems odd. The King of Kong: A Fistful of Quarters is an interesting and popular 2007 documentary that tells the story of one man's desire to be the best at something -- the classic arcade game -- while another man tries to defend his claim to fame. Steve Wiebe is clearly the hero of this documentary as an almost-successful guy who isn't really making it. I can't imagine how he must feel watching the footage of those near and dear to him describe his personal "almost there" status. Almost a great baseball player, almost a great musician, etc. Watching the unique personalities in this film, there is something 'every-man' in Steve Wiebe's quest to have the world record in Donkey Kong. I remember watching the exceptional documentary series Michael Apted's Seven Up series in 2007 and being struck by these real people (particularly there discontent and personal struggles in their 30s). And something happens to modern men as they grow out of adolescence and begin the routine of adulthood. 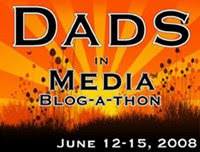 It seems like there is a part of male hood in the modern world that is unconfirmed. A part of man that needs affirmation that is often unmet in the home, the work place, and so forth. And so it is that I believe Steve Wiebe desired to be the best at something, even if it was as unconventional as a classic style arcade game. Is all the hours, emotions, family strain, heart ache, and joy stick callous' worth it? I don't know. Does a Donkey Kong record make someone more of a man? Where can a man feel successful? Where can a man truly gain that sense of winning in our modern world? Director Seth Gordon doesn't formally come out and discuss these things in his documentary, but I think it is within these issues is the relatable truth the makes people connect with this film. It's not about Donkey Kong -- it's about being a man. It's about pride. It's about winning. And it probably leaves you wondering how it all maters in the big picture. "Sometimes it's the boring stuff I remember the most." A Vision: Woody Allen Writes/Directs "Palm Beach Psych"
Previously I wrote a piece about how I hoped that Woody Allen would direct a Bernie Madoff biopic, using the source material from the Steve Fishman article for NY Magazine about Madoff titled The Monster Mensch. Moviezzz even clued me in that Allen was already spinning his wheels and own unique comedy with his own column about Madoff (and Lobsters) in The New Yorker. But my vision for Woody Allen has slightly shifted. I would certainly take a biopic, but now that Bernie's in jail for 150 years I've focused my energy to the rich people on the palm tree and Tiffany-diamond speckled island of Palm Beach, Florida who are now finding that they must sell their yachts, fine jewelry, and lavish homes due to their friend's web of lies. The true consequences of the Madoff scandal are certainly real and are far from comical. Sure it's hard to feel pity for the wealthy when lay-offs, unemployment, foreclosure, and financial hardships are on the rise...but Woody Allen's unique comic brand is perfect for telling the story of Palm Beach Psych. A recent doctoral student graduates, and through chance circumstances (a crazy aunt lives in town, a boyfriend who dumps her after she moves to Florida, or a donation from the estate of Uncle Warwick) leads her to open up a Psychology office on the island of Palm Beach. This young woman (let's say it Rebecca Hall, who worked with Allen as Vicky in Vicky Christian Barcelona, pictured right) is very inexperienced, but somehow everyone is drawn to her and find that she is extremely helpful in dealing with their emotional angst. Woody Allen, of course, would be one of Hall's patients, but I could see a number of Palm Beach characters as well. Perhaps the 30 year old woman who's marriage to a 70 year old isn't working now that they have to move out of the mansion and stay with his kids in the Carolina's. Or the woman who is secretly stealing from the neighbors and pawning off their items off the island. Maybe there's a man who knew Bernie Madoff and always felt like he knew he was a crook and wonders if knowledge of his past suspicion makes him a criminal. 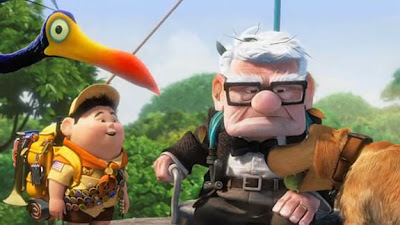 Allen could certainly cast some of his favorite supporting characters in a film of this nature as well. Maybe the story all ends when the older more established Palm Beach psychologist begins trying to demolish Rebecca Hall's practice as he faces his own financial ruin. Somehow I can just see this film so clearly. Who would Allen cast in Palm Beach Psych? What might their character be like?